Majority of UK adults would feel safer if digital messaging weren't encrypted. 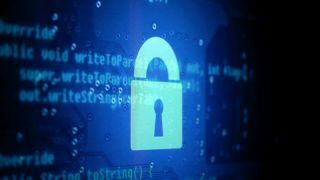 Two thirds of the UK’s general public would feel more safe if digital communications were unencrypted, according to a new report by Cable.co.uk. The argument? If the government could access our communications, it would be able to intercept messaging between terrorists plotting new attacks. Out of 2,000 UK adults polled for the report, less than a fifth (18 per cent) said they believe the general public’s privacy is more valuable than organisations having power to access messages sent through apps like WhatsApp. Half (51 per cent) said removing encryption would make them feel safer, while 25 per cent said they’d feel less safe, mostly because hackers would be able to intercept messages, too. Men (23 per cent) seem to value digital privacy more than women (14 per cent), and when it comes to Millennials (25 – 34 year-olds), 26 per cent felt digital privacy was more valuable than security. Among the populace of 55+, 10 per cent shared the same sentiment. "I find it fascinating the general public is largely willing to hand over unprecedented surveillance powers to the government in an attempt to address a danger statistically on equal footing to that posed by bees,” commented Dan Howdle, consumer telecoms analyst at Cable.co.uk.